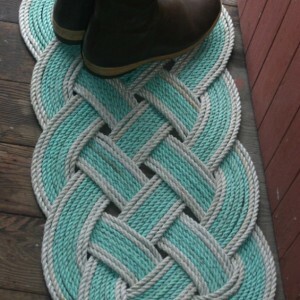 This rug is great for indoor or out. 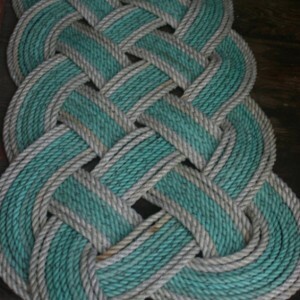 It is hand-woven from Alaskan Fisherman rope/line that we are recycling. 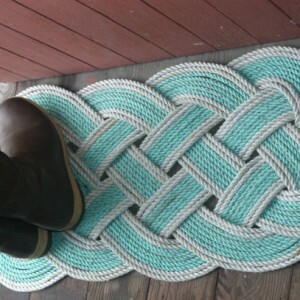 The rope rug is very durable and will last a very long time. 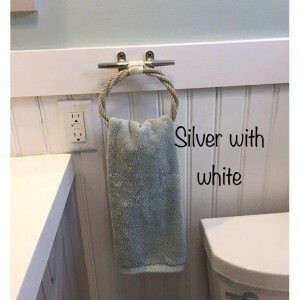 The size is approximately (with in 1 inch) 36" x 15" and is greenish rope with dark gray speckles throughout the lin with silver outline wrap. 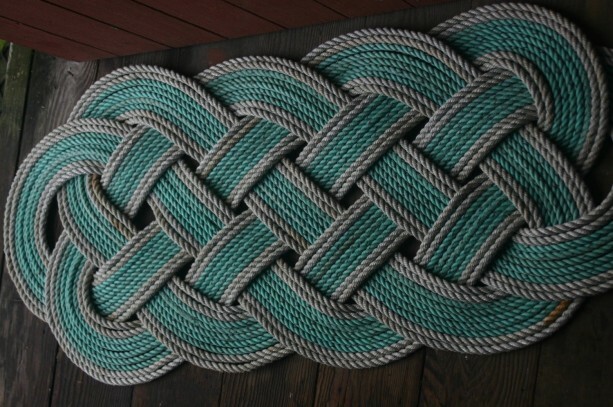 Tightly woven. . You can clearly see in this rug that this rope has some sun and wear to it as it has been used to catch a lot of fish over the years but it is still very durable and makes for a great sturdy rug. 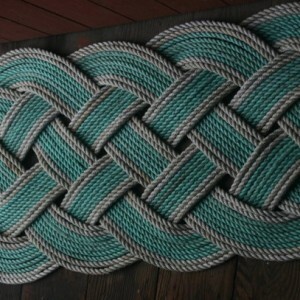 This mat is great for beach houses or ideal for anyone with a nautical design. 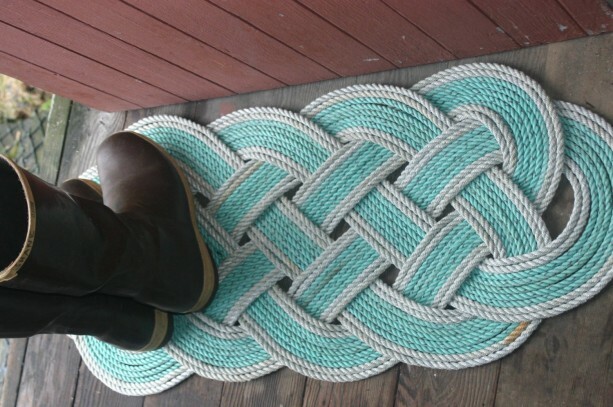 We live by the sea and they are just great to have at every door way to wipe feet. Can be washed in cold water and is best with cold water hose outside and then lay flat for drying in sun. 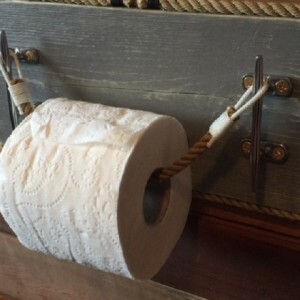 Great gifts for friends that have everything or to treat yourself to a recycled item. I will be happy to make custom rugs for you so please don't hesitate to contact me through this listing and tell me what you have in mind. 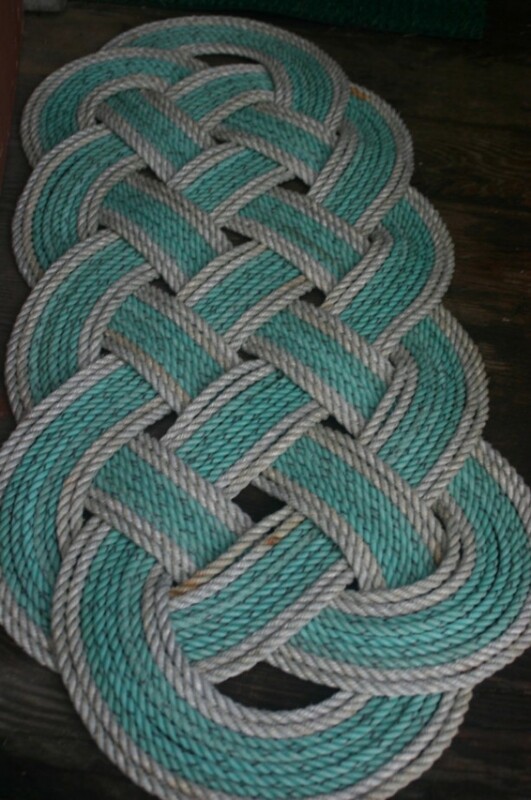 We have tons of line/rope on our property in Kodiak Island Alaska that we are having fun recycling the fisherman gear into something of use with a unique look. 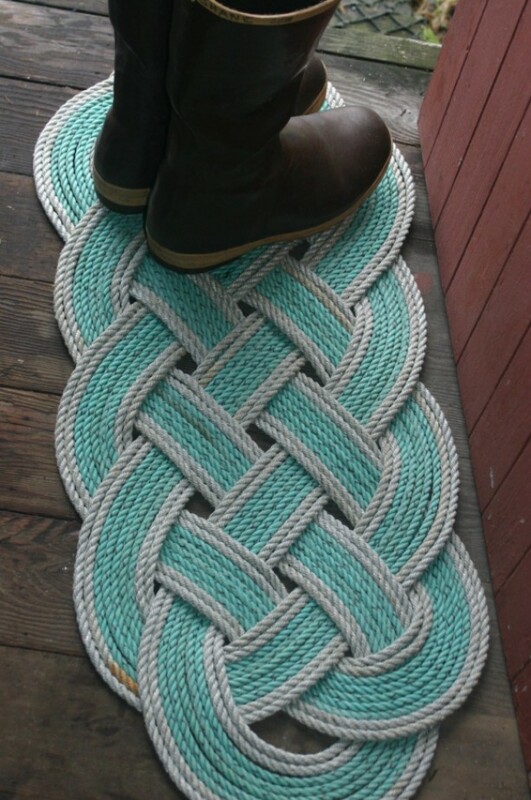 NO TWO RUGS THE SAME. Start UPCYCLING/RECYCLING to save our planet!